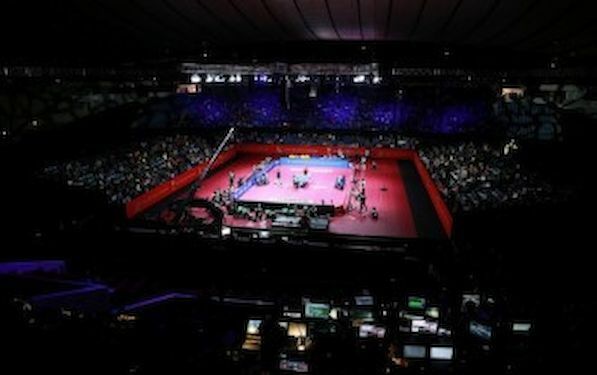 The recent International Table Tennis Federation (ITTF) ZEN-NOH World Championships, did not just see the world’s best players play, Tokyo was also the place to allocate future top ITTF events. Bangkok, Thailand, won their bid to host the most lucrative table tennis event on earth, the GAC Group 2014 World Tour Grand Finals. The year-ending finale of the 21 GAC Group 2014 World Tour events will be held on 11-14 December 2014, with a prize money pool of one million US dollars. World-class table tennis will make a swift return to Dubai with the city winning their bid to host the 2015 World Team Cup on 8-11 January 2015. Dubai was the successful host of the GAC Group 2013 World Tour Grand Finals, and the eager public will again get a chance to see their table tennis heroes in the flash, this time at the bi-annual world title tournament involving the top teams beside all the Continental Team Champions. The 2014 World Cadet Challenge will be the first step into international competition organization for Barbados later this year. Bridgetown will run the world’s premier under-15 table tennis event from 23 October to 1 November 2014. Reflecting on the news the ITTF CEO Judit FARAGO stated: “It will be our pleasure to return to Dubai in January 2015 for the World Team Cup, the UAE Table Tennis Association organizes the second major ITTF event in one year time attracting the world’s best players again after the last World Tour Grand Finals. At the same time the year-ending World Tour Grand Finals moves to Bangkok thanks to the Thailand TTA, one of the most active Asian association holding several ITTF and continental events recently on very high level, enough to mention the running SET Thailand Junior Circuit where young players between 12 and 18 compete in 16 different events right now.